When we think of mustard seeds, our spiritual thoughts might take us toward the passage a few chapters later where Jesus talks about how if the disciples had faith as small as a mustard seed – they could move mountains. But that’s not what the parable of the mustard seed is about. In this parable – Christ is describing the growth and the greatness of His Kingdom and of Christianity. And he shows how it begins from the smallest of seeds and grows and grows into the greatest of all movements mankind has ever known. Just like in the previous two parables, we see yet another man planting seeds. Again, the man represents Jesus, and the field represents the world. Jesus plants his seeds in His field, which is the world. That reminds us that the world is His. An interesting note here – the word “Took” in verse 31 is from the Greek word “Labon.” This word means specifically to “Deliberately take”, or in other words, to take with purpose – to take with thought. The seed was not planted by chance. It didn’t just happen – Christ deliberately took the seed, planted it, and nourished the growth. It existed because of purpose and thought. A mustard seed is amongst the smallest of all seeds. But the mustard seed grows into the largest of all the garden plants. In fact, it was known to provide shade for horses and their riders. Its large enough for birds to come and perch in its branches. How is the Kingdom of heaven like this seed? Well, Christianity began small. Jesus was one person. Look at what it grew into from one person. Also, look at the people he used to grow the Kingdom – the disciples were not exactly the “Dream Team” of the day. Not only that, but the disciples were told on multiple occasions they were of “little faith” by Jesus himself. Because the mustard seed is planted – a bush is grown – and birds come and lodge in its branches. The passage says the birds COME and PERCH or LODGE in its branches. Oh how true this is for the Kingdom, and for us to be a part of it. The Kingdom of Heaven truly is like a mustard seed. It began small – its growing larger and larger today – and one day – it will overtake all evil and destroy it completely. Here’s an interesting fact I learned about the Mustard plant. Pliny the Elder was a Roman author who lived in the first century of the Common Era, He wrote about his experience with the mustard plant in his encyclopedic Natural History: “Mustard… with its pungent taste and fiery effect is extremely beneficial for the health. It grows entirely wild, though it is improved by being transplanted: but on the other hand when it is sown it is scarcely possible to get the place free of it, as the seed when it falls germinates at once. In other words, for those of us who have been in the south long enough – the mustard plant is very similar to Kudzu. That’s how the Kingdom began – no one really wanted it – it was small – but it began to grow – and it continues to grow today. One day, God will take over the whole world with His goodness – will destroy evil – and will reign supreme. My question to you is this: wouldn’t you rather be a part of that Kingdom and join it as it spreads its goodness – rather than being part of the evil it chokes out and destroys? 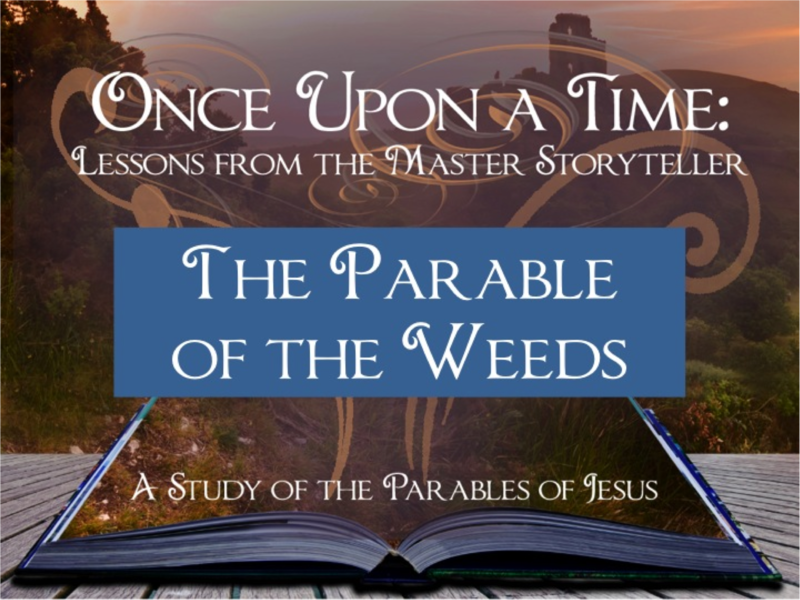 The parable of the weeds has the potential to make us a bit uncomfortable. That’s because it tells us two very important things that we sometimes have a hard time understanding. First, it tells us that whether we like it or not, no matter how good we are, we’ll be growing up with weeds. The parable of the weeds does a good job of explaining why evil exists. Have you ever wondered “Why does evil exist if God is a good God?” I believe the answer to that is found in this parable. 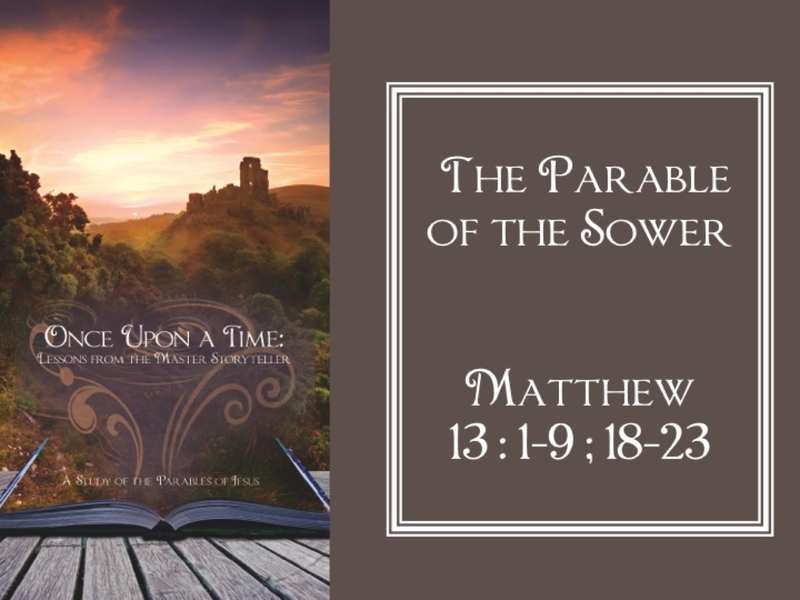 In Matthew, Jesus really demonstrates how He has brought the Kingdom of Heaven to earth. Once ruled by the evil one, the Kingdom is entering with Jesus, and Jesus has left that Kingdom with us. But when Jesus brought the Kingdom, there were obstacles in the way, namely Satan and his weeds. The weeds mentioned here are known as “darnel” or false wheat. They look the same until the ears mature, and until harvest time you can’t tell them apart. When the grain matures, you see the real wheat bend over from its weight. The false wheat, when it matures, shoots straight up and is darker in color. While the darnel has been growing alongside the wheat, it has wrapped its roots around the real wheat, so pulling up the weeds would pull up the wheat. To add insult to this, the fruit of the false wheat is poisonous. If it got mixed in with the real wheat while making flour, it could make the whole batch of flour toxic. This brings light to the topic of “why are bad things still happening if the Kingdom of God is here.” The answer to that is the only way evil can be completely wiped off the face of the earth is through the judgement and end of the world. I’ve never really liked doing the old fashioned “hell fire and brimstone” type sermons – but you just can’t really avoid it in this parable. The truth of the matter is this: Heaven and Hell are both very real – and Jesus describes the two places here. Hell – Jesus says – is reserved for everything that causes sin and all who do evil. What will happen to them? They will be thrown into the fiery furnace, where there will be weeping and gnashing of teeth. Oh, but the righteous – he promises – get this – radiant glory. Those who do God’s will by becoming disciples of Christ.